Olympia, WA — A milestone for aquatic health was achieved today when the Washington Fish and Wildlife Commission unanimously ordered the Washington Department of Fish and Wildlife to initiate a rulemaking process that would require individual permits for suction dredge mining in the state. Suction dredge mining has become controversial throughout the West due to its impacts on aquatic ecosystems and salmon health. The practice requires the use of a motorized, floating dredge to vacuum up the streambed as miners look for gold flecks. Science has show that the process destabilizes the streambed environment, releasing plumes of silt and mercury and harming fish. Due to its impacts on watershed health, suction dredge mining has recently been reformed in neighboring states. California banned the practice in 2009 and earlier this year the US Supreme Court upheld the ban. In the 2017, the Oregon legislature outlawed the practice in key salmon waterways, and Idaho now requires stricter permitting to better protect its rivers. Prior to today’s vote, Washington allowed suction dredge mining to occur without a permit. However, the state still allows the practice to occur in designated critical habitat for Endangered Species Act-listed salmon and trout. Rivers important to salmon recovery, like the Nooksack, Peshastin, Methow and Wenatchee, have been hit hard by the practice. 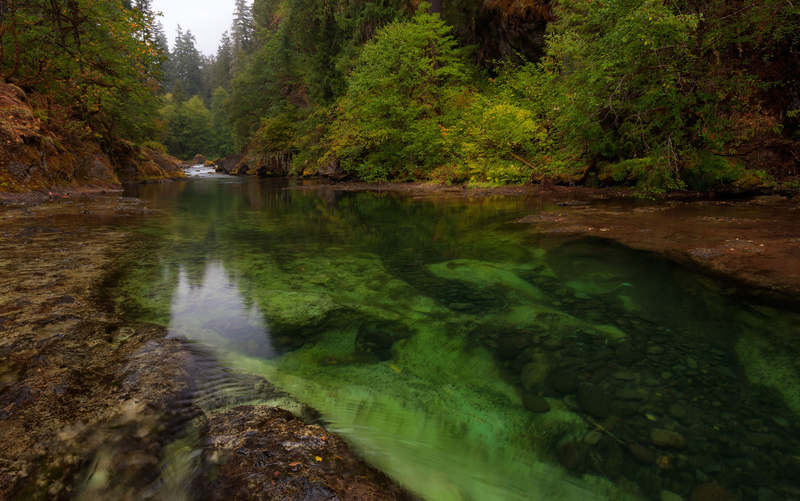 “While today’s vote was a positive step forward, the state must make sure that adequate protections are put into place to ensure salmon and our rivers are protected from the impacts of suction dredge mining,” Scott added. Cascadia Wildlands’ current lawsuit, Cascadia Wildlands vs. Washington Department of Fish and Wildlife, was mentioned often in the Commission’s deliberations today, and the issues addressed by the Commission mirror the claims of the litigation. The lawsuit is currently pending in Washington Superior Court in Thurston County, and it is set for oral hearing in Olympia on July 6.